Best SAP Partner | Fasttrack Solutions Inc.
Fasttrack Solutions Inc. the Best SAP Partner in the Philippines and Ranked No. 5 in Asia for SAP, Fasttrack is the only SAP Partner in the Philippines with the most citation and awards from SAP AG. 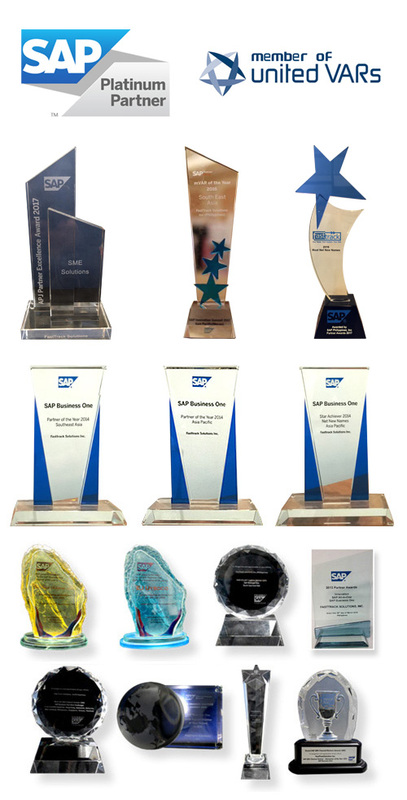 Recognizing its feat in sales and implementation, Fasttrack has been acknowledged for four straight years in both local and international award giving bodies of SAP AG. With the company’s full commitment to SAP solutions, it has risen to a level of excellence in consulting and implementation of SAP products and technologies. Fasttrack Solutions is the first Philippine Partner who sold and implemented SAP HANA for All In One(A1) and Business One (B1).